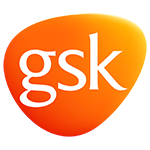 GSK is one of the world’s leading vaccine companies, involved in vaccine research, development and production. We have 15 vaccines in development and our broad portfolio of 39 vaccines prevent illnesses such as hepatitis A, hepatitis B, diphtheria, tetanus, whooping cough, measles, mumps, rubella, polio, typhoid, influenza and bacterial meningitis. Globally, we have more than 16,000 people working to deliver nearly 2 (1.9) million vaccines every day, to people in around 90% (172) of the world’s countries. In 2015 we distributed around 690 million doses of vaccine, over 70% of them to least developed, low and middle income countries. GSK’s Research Centre in Siena is located in a scientific campus that also includes other scientific parks such as TLS (Toscana Life Sciences) and GVGH (GSK Vaccines Institute for Global Health), thus creating a dynamic environment where basic science, sophisticated technologies and exploitation can optimally complement one another. Roberto Adamo, the coordinator of the GLYCOVAX project, was trained as carbohydrate chemist and is now Senior Scientist in GlaxoSmithKline, Italy. He started his scientific career at the University of Catania (Italy), where in 2003 obtained his PhD in Pharmaceutical Science, with a thesis on the synthesis of biologically relevant inositols. After a post-doctoral fellowship at the NIH in Bethesda, USA, under the supervision of Dr. P. Kovac, he moved as EU Marie Curie fellow to the group of Prof. J. P. Kamerling at the Utrecht University, Netherlands, where he gave a strong contribution to the emerging areas of synthetic glycoconjugate vaccines. In 2007 he joined Novartis Vaccines & Diagnostic becoming Head of the Laboratory of Carbohydrate Chemistry and Leader of the Conjugation and Synthesis Platform. In 2016 the company has been acquired by GSK. Dr. Adamo’s research interests focus on the synthesis of glycans, glycoconjugates and glyconanoparticles to be used for carbohydrate-based therapeutics. In the GLYCOVAX project he will supervise ESR1 and ESR10 and will be a mentor of ESR3, ESR4, ESR5, ESR13 and ESR15. Dr. Maria Rosaria Romano (Head of the Glycoconjugate synthesis & Analytics Laboratory) will co-supervise ESR10 and will be a mentor of ESR9 and ESR14. Dr. Francesco Berti, who will support the program as co-supervisor of ESR1 and as mentor of ESR7, ESR11 and ESR12, is the Head of the Antigen Design Department. He has contributed to the development of commercially available anti-meningitidis vaccines. The group has been and is currently involved in numerous PhD programs shared with academies. 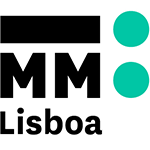 The IMM is a non-profit, private research organization and one of the leading biomedical research institutions in Portugal and Europe. Located in the campus of Lisbon Medical School, the iMM Lisboa is an Associate Laboratory of the Portuguese Ministry for Education and Science and a reference for science in Portugal. The mission of IMM is to foster basic, clinical and translational biomedical research and innovation in this areas with the aim of contributing to a better understanding of disease mechanisms, developing novel predictive and diagnostics tests and developing new therapeutic approaches. The institute supports scientific postgraduate training of young graduates, doctors and other Health professionals; support science communication and provides external services in the areas of specialized diagnosis, health expertise, quality control and collaborates in national and international committees. (http://gbernardeslab.com/) Gonçalo Bernardes is the Director of the Chemical Biology and Pharmaceutical Biotechnology Unit at IMM and holds a prestigious Royal Society URF at the University of Cambridge, UK. He graduated in Chemistry from the University of Lisbon in 2004 and completed his PhD at the University of Oxford, UK in 2008 under the supervision of Prof Ben Davis working on reaction engineering for site-selective protein modification. He then undertook postdoctoral work at the Max-Planck Institute of Colloids and Interfaces, Germany, under the guidance of Prof Peter Seeberger. Bernardes’ research interests lie in the field of Chemical Biology. In particular, his group is developing novel aqueous reactions for site-specific protein modification with the aim to apply them to understand key biological processes and to the construction of targeted therapeutics. He is also the Vice-President of Domatica Global Solutions, a company dedicated to build innovative hardware solutions to narrow the distance between the physical and the logical worlds. More recently he co-founded FarmControl, a company that has built a new solution for precision livestock farming. In the GLYCOVAX project Dr. Gonçalo Bernardes is the Supervisor of ESR13 and the mentor of ESR1, ESR3, ESR5, ESR12, ESR14 and ESR15. 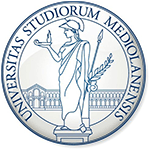 The University of Milan is a public teaching and research-intensive University, the only Italian among the 21 prestigious members of LERU (League of European Research Universities), and an internationally high-ranked University for scientific productivity. It has a teaching staff of about 2.200 tenured professors and over 60.000 students. Co-operation with European Union countries and participation in the R&D Framework Programme and other EU programmes is very strong in UMIL and it ensures that Italy has an active part in building the European Research Area. The Department of Chemistry (www.chimica.unimi.it) is one of the largest and most productive in Italy and has two active PhD programs (“Chemistry” and “Industrial Chemistry”), hosting every year ca. 50 PhD students and 25 post-docs. The Department also organises two annual post-graduate summer schools on “Organic Synthesis” and “Polymer Science and Technology” and it is currently an Eramsus Partner of several Universities. (http://users.unimi.it/luigilaygroup/lay.html) Luigi Lay is associated professor of Organic Chemistry at UMIL. He received his PhD in Organic Chemistry in 1994 at the University of Milan, under the guidance of Prof. Giovanni Russo, working on the synthesis of oligosaccharides related to heparin/heparan sulfate glycosaminoglycans. In 1995 he moved to the Institut für Organische Chemie, University of Konstanz (Germany) as a postdoctoral fellow, where he worked on the synthesis of glycoconjugates of the lacto and neolacto series under the supervision of Prof. R. R. Schmidt. In 1996 he moved back to Milan and joined the Italian National Research Council as a researcher assistant. In 2000 he was employed as a researcher at the University of Milan (Department of Organic and Industrial Chemistry, now Department of Chemistry). and in 2010 he became associated professor at the same University. His research activity currently addresses the area of the synthesis of oligosaccharides and glycoconjugates endowed with immunological activity and the synthesis of sugar analogues (C-glycosides and C-phosphonates) with potential biological activity. In the GLYCOVAX project Prof Luigi Lay is the Supervisor of ESR2, ESR3, ESR15 and the mentor of ESR7 and ESR16. UL is the oldest University in the Netherlands, offering education to about 15,000 students in a wide range of studies. The chemistry and life sciences research in the Leiden Institute of Chemistry is organized around two major themes: “Energy and Sustainability” and “Chemical Biology”. Within the latter, the Cell Observatory was recently founded for the study of living systems from organisms, cells and molecules down to atomic structures unravelling fundamental and disease related processes. The Leiden Institute of Chemistry attracts students from all over the world either to conduct their full training or to participate in foreign exchange programs. The Bio-Organic Synthesis (BIOSYN) department, takes up a prominent role in the Chemical Biology branch of the institute, housing over 30 PhD students and post-doctoral researchers. (http://www.universiteitleiden.nl/en/staffmembers/jeroen-codee) Jeroen Codée is associate professor at Leiden University where he leads the carbohydrate research group of the BIOSYN department. He obtained his PhD degree from the same university and returned after a post-doctoral visit with Prof. Peter Seeberger at the ETH in Zurich, Switzerland. Main focus of the group is on the development of synthetic methodology, including automated synthesis approaches, for the synthesis of bio-active carbohydrates as tools for glycobiology and immunology. In the GLYCOVAX project Dr Codée is the Supervisor of ESR4 and ESR5 and the mentor of ESR1, ESR3, ESR13, ESR14 and ESR15. For the supervision of the ESRs he will be supported by Prof. Gijs Van der Marel, who is Professor of Synthetic Organic Chemistry. 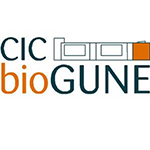 CIC bioGUNE is a non-profit biomedical research organization, founded in 2002 at the initiative of the Department of Industry of the Basque Government, opened its research facilities at the Technology Park of Bizkaia in January 2005. Since then, CIC bioGUNE has been playing a strong role in advancing biomedical research and technological innovation in the Basque Country and Spain. The center invests in the development of different technology platforms such as genome analysis, proteomics, metabolomics, NMR, electron microscopy, macromolecular crystallography and animal facility. The research activity focuses on two main fields: “molecular recognition and host pathogen interaction” and “metabolism and cell signaling in disease”. Cic bioGUNE employs more than 20 research group leaders, more than 100 postdocs, technicians and engineers, and provides training opportunities to over twenty PhD students each year. (http://www.cicbiogune.es/center/about) Jesus Jiménez-Barbero is the scientific director at CIC bioGUNE and Ikerbasque research professor since 2014. Earlier in his career, Prof. Barbero worked at CERMAV-CNRS, Grenoble, 1986; then he moved to University of Zurich (Switzerland) as Postdoc; he worked also as a Post-doc at the National Institute for Medical Research (UK) in 1988 and at Carnegie Mellon University (USA) in 1990-92, as a post-doc and visiting scientist. In 1992 he joined the Instituto de Quimica Organica General (IQOG-CSIC) where he worked at the beginning as Senior Research Scientist and then as Research Professor. He has also held Visiting Professorships at École Normale Supérieure, Paris (2004), Univ. Pierre et Marie Curie, Paris VI, (2009), and Univ. Milano-Bicocca (2010-12). He moved to the Basque Country to become Scientific Director of CIC bioGUNE in November 2014. He is current President of the Royal Society of Chemistry of Spain, the Head of the Chemistry Panel of the National Plan for Research of the Ministry of Economy and Competitiveness since 2009. He has an international reputation in the molecular recognition field, with special emphasis in the development and application of NMR methods to study the interactions between ligands and receptors. He has published over 450 publications and six patents. He is also serving as President of the Royal Society of Chemistry of Spain. In the GLYCOVAX project he is the Supervisor of ESR12, mentor of ESR2, ESR4, ESR10 and ESR11. 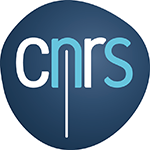 Beneficiary 06: CNRS (Centre National de la Recherché Scientifique), Paris, France. CNRS is a public organization under the responsibility of the French Ministry of Education and Research. Founded in 1939 by governmental decree, CNRS has the following missions: to evaluate and carry out all research capable of advancing knowledge and bringing social, cultural, and economic benefits for society; to contribute to the application and promotion of research results; to develop scientific information; to support research training; to participate in the analysis of the national and international scientific climate and its potential for evolution in order to develop a national policy. As the largest fundamental research organization in Europe, CNRS carries out research in all fields of knowledge. The “Unité de Glycobiologie Structurale et Fonctionnelle” (UGSF) is a Joint Research unit owned by the CNRS and the Université Lille 1. Julie Bouckaert, PhD, directs glycobiological research at UGSF through crystallography of bacterial adhesins, carbohydrate-processing enzymes and carbohydrate-specific antibodies. She is interested in ways of measuring kinetic, thermodynamic and structural parameters of interactions, in order to better comprehend the molecular basis of glycan specificity and selectivity. She performed structure-based drug design of small mannose-based anti-adhesives against the FimH lectin for therapy of E. coli infections. Her lab now integrates experimental data with computational biology to get a grip on dynamic binding modes of glycoconjugates. In 1996, Julie obtained a PhD at the Vrije Universiteit Brussel, Belgium, focussing on crystallography of plant lectins. Between 2000 and 2002, she worked on bacterial lectins at Department of Molecular Microbiology at Washington University School of Medicine, St. Louis, USA. In 2008, she joined VIB “Life sciences research institute” in Flanders, Belgium, before to start, in 2010, to work for the CNRS in France. She is member of the FWO commission for Biology in Flanders and of the editorial board of The Journal of Biological Chemistry. In the GLYCOVAX project she is the supervisor of ESR11 and mentor of ESR9 and ESR10. 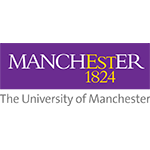 The University of Manchester is a world-renowned center for scholarship and research and one of the world’s leading centers for biomedical and biotechnology research that sits at the forefront of new discoveries in science and engineering. The University exhibits a higher education brand synonymous with the finest international standards of academic excellence matching the world’s leading Universities in attracting the highest caliber of researchers, innovators and scholars. Research is at the heart of the University of Manchester and the scale, diversity and quality of its research activity is unrivalled in the UK. The University of Manchester’s research beacons are examples of pioneering discoveries, interdisciplinary collaboration and cross-sector partnerships that are tackling some of the biggest questions facing the planet. (http://www.manchester.ac.uk/research/Sabine.flitsch/) Sabine Flitsch is currently professor of Chemical Biology at the University of Manchester and heads a research group of ~ 15 scientists at the Manchester Institute of Biotechnology (MIB). After the graduation from University of Münster in Germany in 1982 with a first class Diploma in Chemistry, Sabine moved to the University of Oxford where she worked under the supervision of Sir Jack E. Baldwin and received her PhD. She then took up a DAAD Postdoctoral Fellowship at the Massachusetts Institute of Technology (MIT) to work with Professor H. Gobind Khorana until 1988 before returning to Oxford to take up a lectureship in Organic Chemistry for 6 years. He joined the University of Edinburgh in 1995, she was also a BBSRC Research Development Fellow from 2001-4 and was recently awarded with the Wolfson Merit Award by the Royal Society (2007-2012). In October 2004 Sabine moved to a Chair in Chemical Biology at the University of Manchester in the Department of Chemistry. Sabine received numerous prizes during her career such as: the Zeneca Research Award, the Glaxo Wellcome Award for Innovative Chemistry and the Interdisciplinary Prize from Royal Society of Chemistry for her significant contributions in biological chemistry, in particular carbohydrate chemistry and glycobiology. She has extensive experience in using sensitive, robust and high-throughput techniques such as HPLC and mass spectrometry for glycan analysis and identification and recently developed a novel glycoarray platform for label-free analysis of carbohydrate-binding proteins using Mass Spectrometry as a read-out method. In the GLYCOVAX project she is supervisor of ESR16; she is also mentor of ESR2 and ESR7. MEDRI was established in 1955. It is currently the largest faculty within the University of Rijeka, which offers undergraduate studies, postgraduate education and life-long learning, and conducts research in the area of biomedicine and health. It has 42 departments and the Center for Proteomics, comprising in total 400 researchers (professors, postdoctoral fellows and PhD students) and 170 technical and administrative personnel. 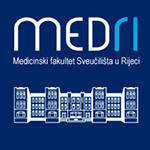 The departments of MEDRI have been particularly successful in immunology and transplantation, virology, microbiology, pathology and developmental biology research. Prof. Stipan Jonjić is a Full Professor and Chair of the Department of Histology and Embryology and Head of the Center for Proteomics at the University of Rijeka Faculty of Medicine. His research career in Immunology started in the early 1980s at the Department of Physiology and Immunology of the Faculty of Medicine, University of Rijeka (Croatia). In 1992 he joined the Federal Research Center for Virus Diseases in Tuebingen as a PhD student. There, he has commenced research in the immunosurveillance of herpesvirus infections using mouse cytomegalovirus as a model. After returning home, he has established his own group and continued his research in the field of viral immunology. His lab was among the first labs in Croatia that established modern molecular biology research and the first to show that immune control of CMV was organized in a hierarchical and redundant manner by distinct elements of both innate and acquired immunity. In 2006 he established the Center for Proteomics with the aim of expressing viral proteins and producing monoclonal antibodies in a high-throughput manner. Prof. Jonjić was the first Croatian scientist awarded ERC Advanced grant in 2012. For his lifelong research achievements he was elected as a member of Leopoldina, German National Academy of Science and as a member of the European Academy of Microbiology. In the GLYCOVAX project he is the supervisor of ESR17. 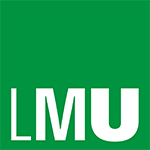 LMU is recognized as one of Europe's premier academic and research institutions. Since its founding in 1472, LMU attracts inspired scholars and talented students from all over the world, keeping the University at the nexus of ideas that challenge and change our complex world. Hauner Children's Hospital is one of the oldest German pediatric hospitals, and represents the Department of Pediatric at LMU. The Division of Pediatric Infectious Diseases at the Hauner Children´s Hospital is responsible for patient care and includes a diagnostic microbiology laboratory. The hospital cares for a large number of pediatric patients with serious chronic illnesses such as cystic fibrosis, inflammatory bowel diseases, HIV, and tuberculosis and all these patients are seen in specific departments and dedicated outpatient clinics (i.e. pulmology, gastroenterology, and infectious diseases). PProf. Johannes Huebner is head of the Department of Pediatric Infectious Diseases at the Dr. von Hauner Children's Hospital, Ludwig Maximilians University Munich. Dr. Huebner is board-certified as clinical microbiologist and as pediatrician, and also the head of the bacteriology laboratory at the Dr. von Hauner Children's Hospital. He studied medicine at the Albert Ludwigs-University Freiburg where he received his clinical training. Dr. Huebner spent 7 years at the Channing Laboratory, Brigham and Women's Hospital at Harvard Medical School as associated microbiologist and principal investigator. Before moving to his current position in 2012 he was between 2004 and 2012 attending physician at the Division of Infectious Diseases at the University Freiburg. His main research interests include vaccine development against gram-positive bacteria (with focus on enterococci) and bacterial pathogenesis. In the GLYCOVAX project he will be supervisor of ESR14 and mentor of ESR4. GU is a technology spin-off of the Max Planck Institute of Colloids and Interfaces (MPIKG) in Germany. The company is specialized in the automation of synthesis of complex glycans and the standardized solid-phase oligosaccharide building blocks carbohydrates, the supply of ready to use carbohydrate building blocks, and the custom synthesis of glycans. 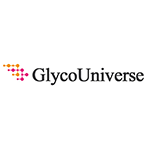 GlycoUniverse’s growing catalogue not only includes the world’s first commercial automated oligosaccharide synthesizer, the Glyconeer®, but also precursors and ready-to-go building blocks for both solid-phase and solution chemistry as well as custom synthesis of complex glycans. In this context GU activities promise to give an important contribution in the production of complex carbohydrates and their conjugates. Mario Salwiczek is chief scientific officer at GU since 2015. He obtained his PhD in Chemistry in June 2010 from Freie Universität Berlin in the labs of Prof. Beate Koksch where he investigated the impact of amino acid side chain fluorination on the thermodynamics and kinetics of folding of a synthetic helical protein folding motif. After a first Postdoc at Freie Universität he ventured to Melbourne, Australia where he changed his research focus to materials science at the CSIRO Manufacturing Flagship and Monash University. His work here focused on the development of a highly biocompatible surface coating composed of prebiotic polymers incorporating biological (e.g. antibacterial) activity. With his profound experience in solid phase synthetic chemistry he was offered the position of CSO at GlycoUniverse in 2015. In GLYCOVAX, Dr. Salwiczek is supervisor of ESR7 and mentor of ESR2 and ESR16. 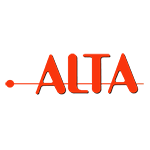 ALTA is a service-provider company specialized in developing and managing scientific research projects financed by the European Commission and Italian Public Authorities. Advanced training programs are also a strength of ALTA. Founded in 1998 by Aldo Tagliabue, ALTA has been involved in several projects since the 5th FP. ALTA has been chosen by 39 among the top Italian scientists and is involved in the management of 18 projects funded by the EC. ALTA provides support and consultancy services for scientists and researchers at universities, in businesses and research institutes from the idea to project implementation finding the proper strategy, building the Project Consortia and putting science in the most appropriate administrative and management framework. Christina Schluepen obtained her PhD in Biology in 2003 from Heinrich-Heine Universität Düsseldorf (Germany). She has been working as biologist in academia as well as in industry before she decided to move on in her career becoming Grant Manager with the focus on EC projects. She joined ALTA in January 2018.